The Re:load Pro is currently available on Crowd Supply! Get yours here! Active loads are incredibly useful for all sorts of electronics testing requirements. You can use one to see how a power supply performs under load, check if a battery lives up to its manufacturer’s specifications for capacity or current draw, test motor drivers, or a variety of common constant-current tasks, such as testing LEDs, or even doing electroplating. With computer control of the load, you can even do your own IV-curve tracing. The original Re:load was born out of my frustration at being unable to find a reasonably priced active load for my fairly modest testing needs. Commercial units typically cost several hundred or even thousand dollars and require substantial bench space - far from ideal for a hobbyist. The Re:load has turned out to be an incredibly useful device for many people, but while its minimalist feature set is well suited to some applications, often you want something with a bit more oomph, better precision, or extra features. That’s where the Re:load Pro comes in. 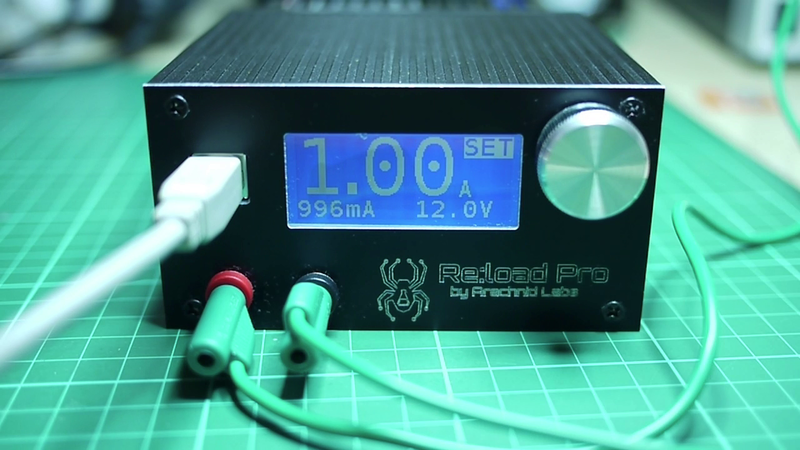 The Re:load Pro takes the robust design of the original Re:load and rebuilds it around a microcontroller. As a result, it offers a USB interface for power and control/monitoring, a good quality backlit display, and accurate voltage and current measurement. And that’s just for starters! Open Source, with a USB bootloader, so you don’t need expensive development tools if you want to make your own modifications. Firmware updates will be easy to install, too! The Re:load Pro’s heart is a PSoC 4 microcontroller, from Cypress. The PSoC 4 combines an Arm Cortex M0 processor with configurable digital and analog blocks, making it possible to design incredibly flexible digital and analog solutions. This is ideal for the Re:load Pro, because it both cuts down on external components, which reduces cost and improves reliability, and makes it more flexible since a greater degree of the circuit is under firmware control. The PSoC 4 in the Re:load Pro includes an integrated Opamp, which the Re:load Pro uses to implement the active load functionality. Sophisticated features like a trim register and configurable compensation make it possible to wring the absolute best performance out of the Opamp. The other vital component of the Re:load Pro is the pass transistor - a BTS141. This unique component from Infineon acts like a regular FET transistor, but incorporates built in overcurrent, overvoltage, ESD and overtemperature protection. The BTS141 is a large part of what makes the Re:load so robust. 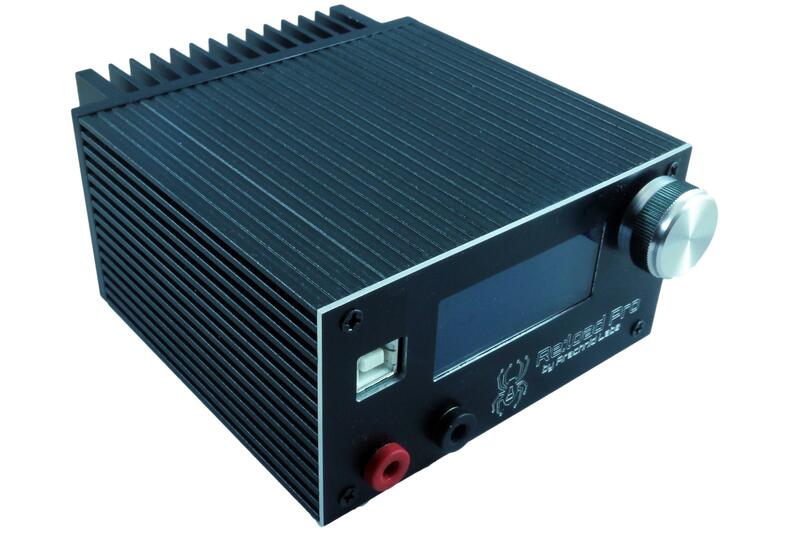 The heatsink and the enclosure are both high quality black anodised Aluminium. The heatsink is a custom extrusion, designed specifically for the Re:load Pro. Everything from Arachnid Labs is open source. The Re:load Pro is licensed under the Apache Public License, and you can get the current source code and schematics right here.